It is very important to prevent and reduce pain whenever possible. Whether your pet has an acute injury or a chronic long-standing condition we are able to utilise a variety of treatment options to reduce pain in your dog or cat. Using a combination of suitable treatments (multi-modal approach) has been shown to cause the greatest reduction in pain in both animals and humans and may involve medication where appropriate as well as other methods such as acupuncture, rehabilitation, laser and hydrotherapy. Pain can be either acute or chronic. Acute pain is the type of pain you feel when you injure yourself, for example, a fractured bone. Chronic pain is the type of pain that carries on either after the injury has healed or where there is ongoing illness causing inflammation, such as arthritis. It is important to tackle both types of pain in dogs, cats and rabbits and it is sometimes necessary to consider them as two different types and treat each type of pain separately. 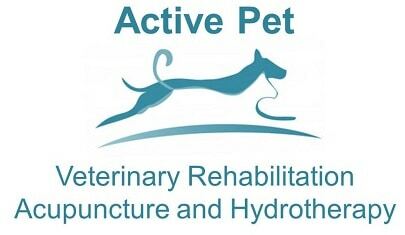 At Active Pet we are able to tell what type of pain your pet is suffering from and discuss with you the best way to reduce that pain. As with humans, each pet has a different pain threshold. 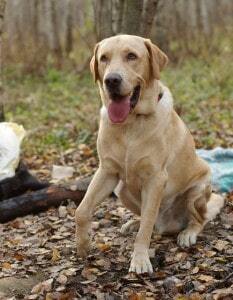 Some dogs are very good at appearing as if they are not in pain, these tend to be the very active and motivated dogs such as Labradors, Golden Retrievers, Collies, German Shepherds and the Spaniel breeds. As an owner your dog may still appear happy but you may find that pain is causing them to be unable to jump in the car or go for long walks without appearing stiff. We often put changes in our dog’s routine down to them getting older but quite often when we do a trial period to tackle pain you may notice that your dog is doing some of the things that they used to when they were younger. For example, we treated one Golden Retriever for pain and he kept asking his owner to go for walks and another Collie dog returned to begging at the table and raiding the dustbin, which he hadn’t done for months (ops!). Most cats and rabbits and some dogs internalise their pain. Being a prey species rabbits and cats tend not to show outward signs of pain, as if they did in the wild they would often get singled out by predators. Signs that your cat may be in pain or discomfort are toileting outside the litter tray, not accessing their usual sleeping areas, hesitating to jump up/down or sleeping more. In both cats and rabbits you may notice an unkempt coat that becomes matted and sometimes rabbits will develop mucky bottoms or urine scald. These are just a few examples of signs we see when pets are in discomfort, if you are at all worried that your pet is in pain please contact us or your normal Veterinary Surgeon. Many owners, quite naturally, feel helpless and distressed when they see their pet suffering but we will help ensure that you feel empowered and confident to help your pet and recognise when they are in discomfort. When you come for your appointment we will go through any concerns or worries you may have and your dog, cat or rabbit will receive a very thorough physical examination to identify any areas of soreness or pain. Once we have localised any painful areas we will be able to recommend treatment options that we feel would benefit your pet, and we will be able to show you practical ways you can ensure your pet is as comfortable and happy as they can be at home.